Located across from the Mod Club, Hey Meatball is known for their meatball dishes of all kinds. Guy Fieri even visited the joint recently.Most of their dishes are around $12 and vary from sandwiches, pasta to polenta. 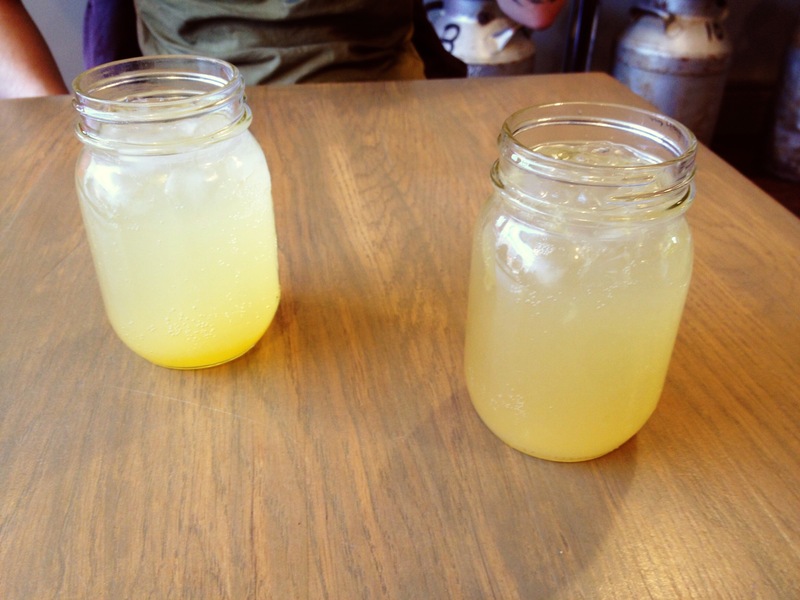 We started things off with some homemade soda. I originally ordered lime and Nash had orange. We ended up switching because we preferred each others’. You could tell by the pulp in the drinks that they were made fresh. 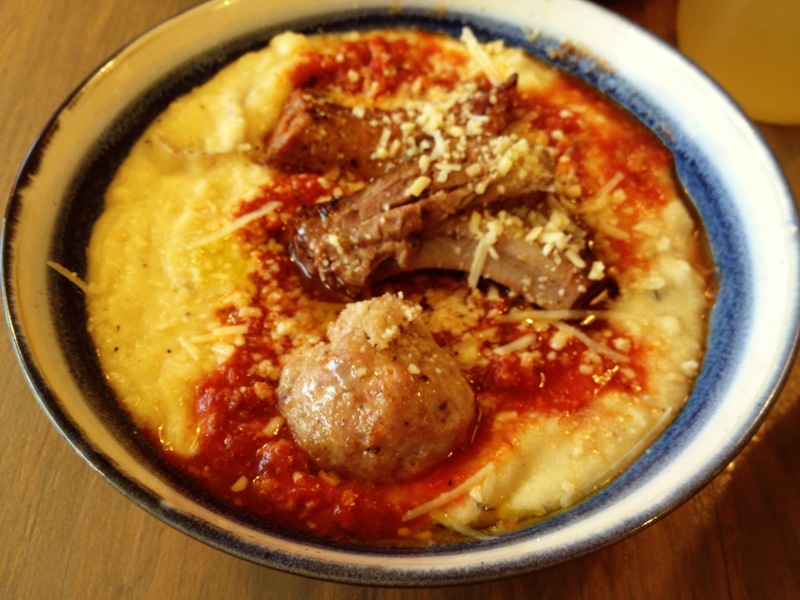 I tried the meatball, rib and sausage polenta, which was pretty much exactly as described. I loved the sausage and there was a good portion of it hidden beneath the potato mash! 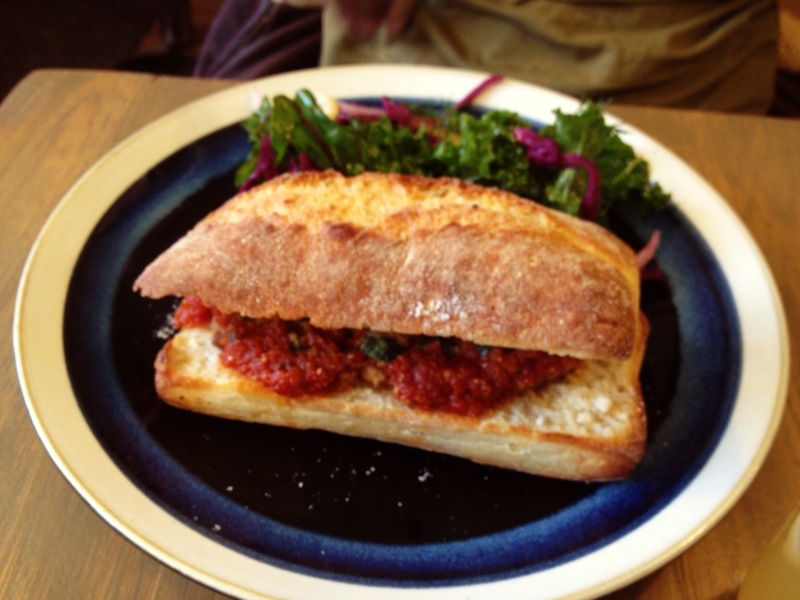 Nash had the Rodfather sandwich which had three pork and beef balls with a veal bolognese sauce. There was a salad on the side. While delicious, it was a bit expensive for the portion size. Hey Meatball I love your juicy balls, but I wish there was more of it!